Determining if an autosomal and X-DNA match is my half-sibling? I am adopted and have info on my maternal side, but not paternal. I recently got a match through AncestryDNA with someone saying we were close relatives. This man and I share 2086 centiMorgans in our autosomal and 20.6 centiMorgans in our X chromosome. We uploaded our results to Gedmatch and it just confirmed that information. I uploaded my daughter's results to compare to him and she shares 1100 centiMorgans with him (but no cm on the X). We are trying to figure out with certainty if we actually are 1/2 siblings. Is his father my biological father? And if so, why do we also share a small amount in our X chromosome, since we definitely have different mothers? Everyone we have asked seems to confirm that we have to be 1/2 siblings -- is there any other way we can be sure? A possible explanation for these results is that you have more than one relationship – maybe you are half-siblings and also share a more distant relationship on your mother's side. For example, the man may be your half-brother because you share a father, and also be a second or third cousin via his mother.
? ┬ ?           ? ┬ ? This would explain the larger than average autosomal match for a half-sibling. However, you are unlikely to only share a father because you have an X-DNA match, meaning you are likely related through your match's mother (since he did not inherit any X-DNA from his father). You really need more DNA evidence to be sure. A possible way to proceed with this is to do a mitochondrial DNA test with this man, as this will only show a match if you are related through a direct maternal line (even if much more distant compared to your close relationship as half-siblings). You might also consider asking if your possible half-brother has any other family members he could consider testing. For example, if he has an aunt or cousin on his mother's side who could take an autosomal test, it would be interesting to see if there is any autosomal or X-DNA match there. This scenario is particularly likely if both your parents have ancestors that came from the same area. It was not uncommon for distant cousins to marry each other – two of my grandparents were cousins. You could therefore also approach this problem from a more traditional genealogy approach. It would be worth comparing your family trees several generations back on both your and your match's maternal and paternal lines. Look for ancestors who came from a similar area, you might be lucky and find a paper trail for a more distant relationship with this match. The bottom line is don't get fooled into thinking you have to be one of the simple relationships suggested on your results – it could be a much more complex combination of relationships. Based on the information provided I belive are only one of two scenarios are possible. You share a grandparent on your mothers maternal side. You are half brother's and sisters with the same mother; not your fathers side. You can reference the ISOGG Autosomal DNA Comparison Chart. But a more practical example of a similar situation is my grandfather. You will see me and one of my 1st Cousins (not my sister) share significantly different number (500) of cMs with our known shared grandfather as well as we share more shared cMs with him than his known half-sister (they shared a father). So at 2000cms you are in this range. Why I say your mother's side is X-DNA is only passed down through the maternal line similar to mtDNA. This The Unruly X blog post on DNA explained is a good explanation with the key peice of information "because men don’t inherit any X from their father". My grandfather and his half-sister share 0 X DNA (image generated on X-1:1 tool on GEDMATCH) as one would expect; because they share a father. The next steps I would suggest is both transferring your results to FamilyTreeDNA (which may give you more unknown matches) and use in combination with a mtDNA test they offer to prove this theory. I am in a similar situation. My potential half-brother and I have more autosomal dna in common than either of us do with our half siblings through our maternal line. Through ancestry, GEDmatch and 23andme we have absolutely no relatives in common on our x. We both share several relationships on our paternal side. My potential half-brother is the same age as my mother and we believe we have the same father. (I know what that suggests) We grew up in the same community and although he is the same age as my mother, they do not know each other. We have 34 segments in common and 2274 autosomal dna compared to 1700 -1836 with our respective siblings by our mother's. At this point, I believe the half-brother relationship is the only relationship that makes since. I did also see a few other sites where people had similar outcomes. Nothing in science is ever exact. Not the answer you're looking for? Browse other questions tagged dna autosomal-dna x-dna or ask your own question. 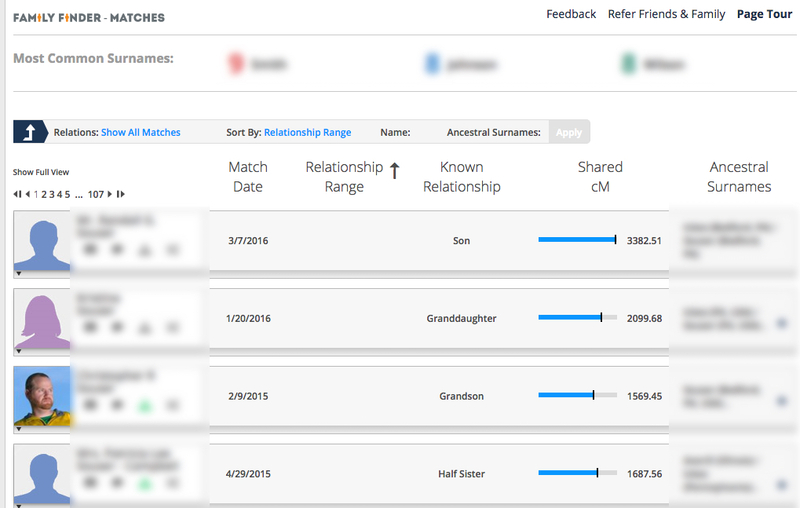 Is a half-sibling match on AncestryDNA reliable, or is more testing needed? Clarifying autosomal DNA match that suggests Half Sibling relationship to aunt? Distinguishing half sibling from niece/nephew using AncestryDNA? Can half sibling category actually be full sibling? Half Siblings not showing up as DNA matches? Can half siblings share no common DNA? Understanding AncestryDNA match of 1,866 cM if not Half Sibling? Understanding high match on autosomal and X dna?